No, your eyes aren’t deceiving you: the UK’s waters are home to lots of whales and dolphins. Over the past month visitors to Plymouth’s waterfront have been treated to the spectacular sight of a large pod of dolphins. 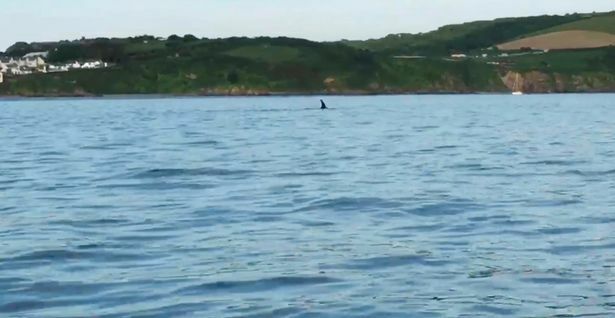 On one day, the dolphins were visible breaking the surface in flat calm seas and in bright sunshine, travelling through the channel between Drake’s Island and Millbay and passing in front of West Hoe before heading into deeper water in Plymouth Sound. But why are we seeing them here? Well, these dolphins are most likely a pod of Short-beaked Common Dolphins (Delphinus delphis). It is not unusual to see them in UK waters or the waters around Plymouth. In fact, there have been frequent sightings of Bottlenose Dolphins, Harbour Porpoises, Short-beaked Common Dolphins and Minke Whales. Risso’s Dolphins and Fin whales have also been spotted, but anything can turn up – last year Plymouth Sound played host to a possible Orca! 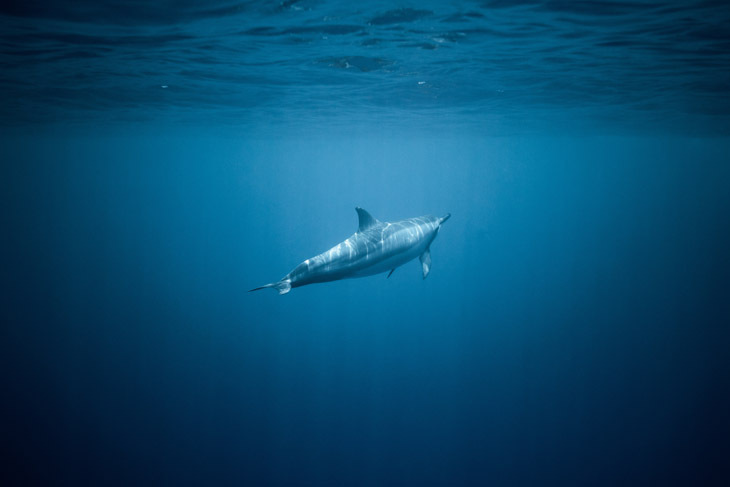 Recently research into marine mammal migrations has shown that warm water species, such as the Short-beaked Common Dolphin, have been extending their range further north. This could be a result of climate change with the waters around the British Isles getting warmer or a shift in warm water currents. 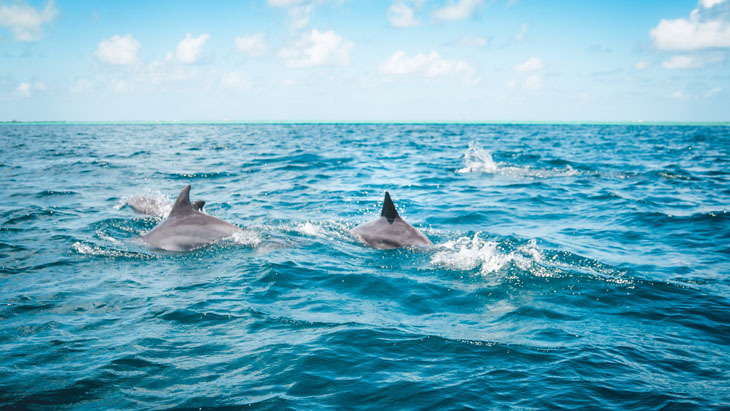 It is possible that higher temperatures and warmer waters have attracted these dolphins and created the conditions for plankton fronts to develop. These would have encouraged fish, whales and dolphins to gather following their food. This may seem like good news, but if our Ocean continues to rise in temperature we will lose some of our cold-water species such as the Atlantic White-sided Dolphin and White-beaked Dolphin. On the flip side, it may be a case that over the winter months, the deep-water hunting grounds for the Short-beaked Common Dolphin have dropped in temperature. This would mean that the fish are travelling elsewhere to get their food and the dolphins are coming closer to our shores in search of a meal. One thing is for sure, we receive more reports of dolphin and whale sightings year on year, which is excellent and shows a real increase in public engagement in Ocean conservation. As an Ocean conservation charity, we’re committed to helping people make little changes which all add up to benefit the Ocean. These sightings show that Plymouth is home to an astonishing range of marine creatures and it’s great to be reminded that we have a healthy, diverse ocean right on our doorstep that we can all cherish and enjoy.